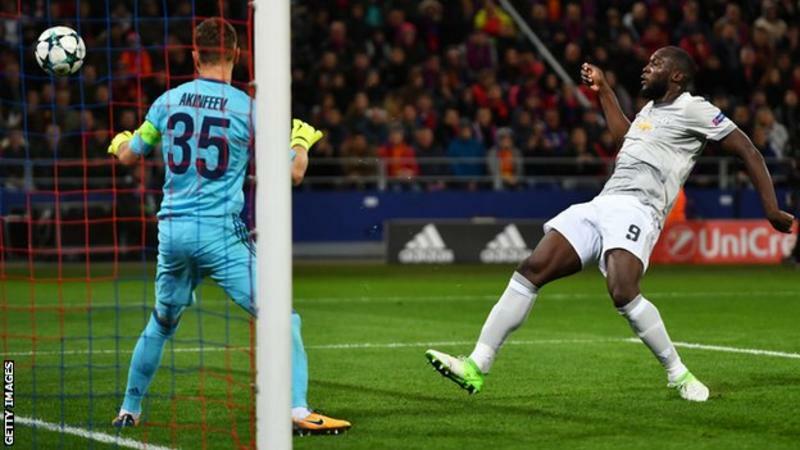 Romelu Lukaku's prolific start to his United career continued apace in the Champions League on Matchday 2. Lethal Lukaku hit another two goals to move into double figures for the season with his tally now ten in nine matches. He's only failed to score in all but one of our games, against Leicester, when Kasper Schmeichel denied him from the spot. Zlatan Ibrahimovic is a very good player but he's coming towards the end of an illustrious career and Lukaku has proved something of an upgrade on the Swede. He looks set to be chasing the Golden Boot and if he stays fit, could even eclipse Zlatan's haul of 28 last season. Robin van Persie was the last United player to hit the landmark of 30 goals (in all competitions), in United's title winning 2012-13 campaign. It took RvP 13 games to get to double figures so Lukaku - who scored 68 goals in 141 games at Goodison Park - could and should achieve that rare feat if he continues his current goals-to-game ratio. There are traits of another legendary Dutchman, Ruud van Nistelrooy, in the manner in which Lukaku consistently scores simple, vital and clinical goals. It is still too early too compare to truly compare him with 150-goal RvN, but Lukaku already looks like a bargain summer buy. Having signed for £75m from Everton, many wondered how Lukaku would adapt to the step up with the weight of his hefty price tag on his shoulders. They needn't have worried, but even the most ardent of United fans could not have predicted that Lukaku would have such an instant and immediate impact. Red hot Rom has been the epitome of this free-scoring United side: a powerful, pacy spearhead who has tucked openings away with a clinical ruthlessness. A physical menace, the burly Belgian has been fed chance and chance as part of a devastating United attacking quartet, and the Reds have reaped the rewards. He scored on his debut in the Super Cup against Real Madrid and then followed that up with a brace on his Premier League bow in the 4-0 win over West Ham. He became only the fourth United to score twice on his league debut and has not looked back since. He netted against Swansea, scored in the draw at Stoke and also found the net in victories over Everton and on his Champions League debut against Basel. His most important goal so far came in Saturday's league game at Southampton, when his 20th-minute strike made the decisive difference as United ground out a hard-fought win.